Smart footwear maker Sensoria has teamed up with British barefoot shoe maker Vivobarefoot for a smart running shoe. Debuted at CES, the Vivebarefoot Smart Shoe monitors speed, pace, cadence – but also uses sensors woven into the sole to keep track of how you run. That means that foot landing spot, ground time and impact score are also part of the long list of metrics you receive. Anyone who's suffered a running injury may appreciate these numbers and stats more – but focusing on these can also prevent lay-offs. If you really want to get serious, you'll also find asymmetry and toe engagement as well. 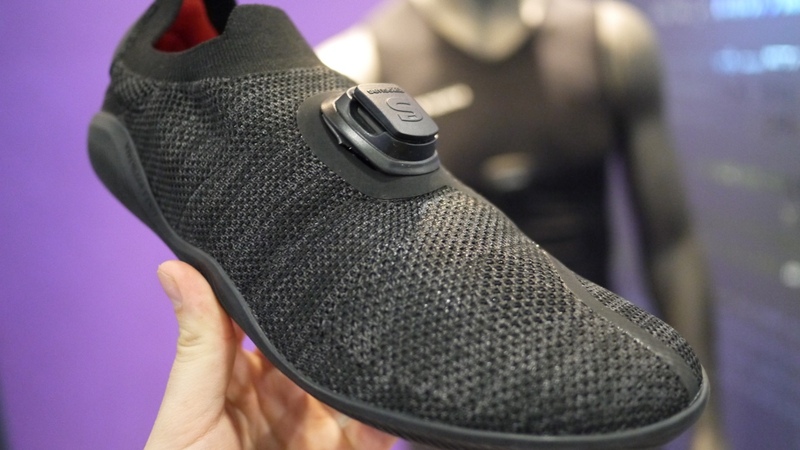 The sensors are threaded through the sole of the barefoot shoes, and for anyone who's ever run in trainers with that low profile, you'll know that's fairly impressive. All the processing is done by the removable and chargeable sensor – the Sensoria Core – that streams data to a paired smartphone. "Our new connected smart shoe will play a pivotal role in educating people about natural movement," said Galahad Clark, Vivobarefoot founder. "Through our partnership with Sensoria, we're able to offer real-time transition advice and visual proof of the incredible sensory feedback loop between feet and brain." The clip-on unit is the same that fits onto Sensoria's smart socks, which means you can swap the unit over. That should save a few dollars, and also means that you can get those advanced running analytics when you're out with your barefoot smart shoes and your standard trainers – after all, it's advisable to start slowly. The Vivobarefoot Smart Shoe will be available later in 2018 – we'll update with pricing, firm release date and a full review when we get hold of a pair.